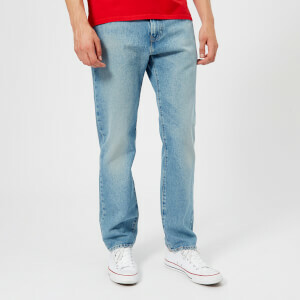 Men’s ‘502’ tapered denim jeans from Levi’s. Crafted with lightweight stretch cotton for a comfortable fit, the blue jeans comprise a low-rise waist and a slim fit throughout. A zip fly with button closure, five pocket styling and belt loops all feature. The signature leather logo patch to the rear completes the design.